UBC Midwifery is delighted with the wonderful response to Professor Soo Downe’s visit as the inaugural Elaine Carty Visiting Scholar. The events were a great success, stimulating discussion and idea development at each event for students, members of the public, midwives and other health professionals. 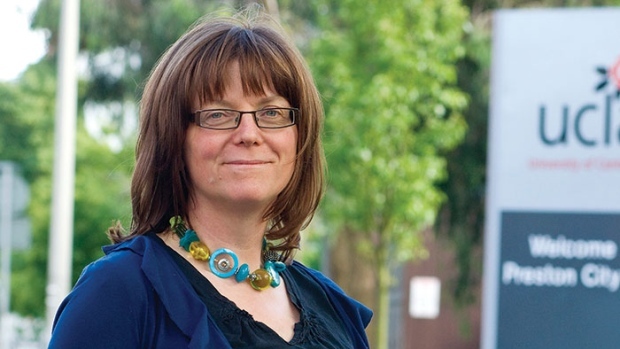 Soo Downe, PhD, RM, OBE, is the inaugural Elaine Carty Visiting Scholar. Currently a Professor of Midwifery Studies at University of Central Lancashire in England, Prof. Downe leads research focused on the nature of, and culture around, normal birth. Prof. Downe worked for 15 years as a midwife at Derby City General Hospital in various clinical, research and project development roles. In 2001, she joined the University of Central Lancashire, where she set up the Midwifery Studies Research Unit. She now leads the Research in Childbirth and Health group. Her investigations take place at both the local and international levels. She was recently the principal investigator of two large studies, a trial of the use of self-hypnosis in labour (funded by the NHS Research for Patient Benefit) and a European Cooperation in Science and Technology (COST) Action on childbirth contexts, cultures and consequences. She is currently running a four-year COST Action on labour and birth with more than 100 multidisciplinary participants from 25 countries. Prof. Downe was a member of the Steering Group of The Lancet’s recent Series on Midwifery and is currently working on the Steering Group of the in-progress Series on Stillbirth, also for The Lancet. She is also working with the World Health Organization on the development of new antenatal care guidelines. She is editor of the book Normal Birth: Evidence and Debate (2004, 2008) and the founder of the International Normal Birth Research conference series. Prof. Downe has held a number of visiting professorships, most recently in Belgium, Hong Kong, and Sweden. In 2011, she was awarded the Order of the British Empire for her services to midwifery. Normalizing Birth: Is the way we do birth bankrupting future generations?